Raised letters: Raised letters are the perfect way to make your message quite literally stand out. Choose from a wide variety of materials ranging from solid metal to plastic, just make sure it’s the best material to enhance your interior or exterior environment. Vinyl application: Two-dimensional lettering includes but is not limed to printed vinyl, die-cut vinyl, large and small format-stretch frame banners, wall murals and so on. 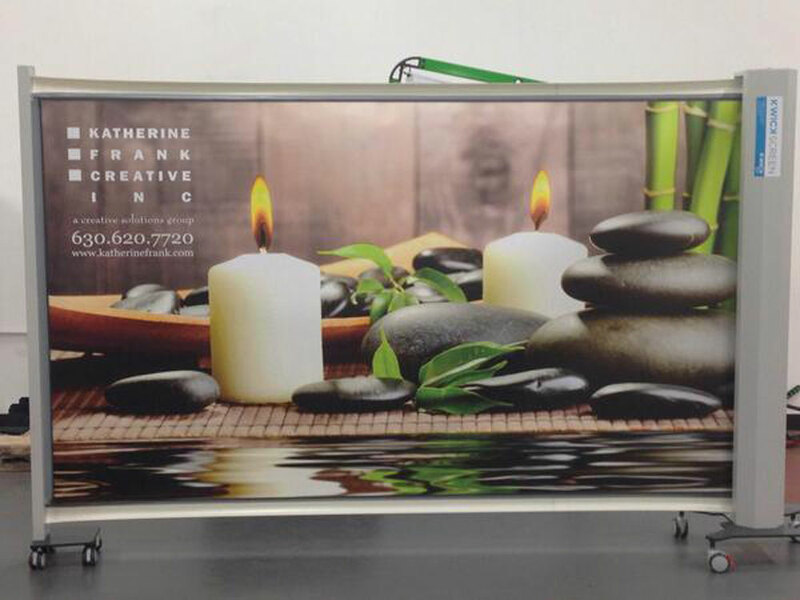 These materials work great for store fronts, showrooms, vehicles, trade shows, exhibits and P.O.P displays. Exterior: Advertising and public awareness are essential to the success of your company, and the right sign is the perfect place to start. Consider illuminated monuments, cast bronze plaques, decorative awnings, simple vinyl graphics or combination of these materials. Kwick screen: An ingenious way of managing space, KwickScreen is a screen that’s portable, printable, flexible and retractable, thereby making it totally unique. Available in a fixed or portable model and can be designed in any color, print, design or finish. Digital: 2014 trends include Ultra HD, adding voice to digital displays, iPad kiosks, using social media interaction through displays (QR codes) and most of all, focusing on customer interaction. People may be hesitant to make the transition to these new pieces but whether we’re ready or not, these enhancements are here to stay. No matter what graphic route you take, it’s important to remember how vital a great sign is. Your sign will never take a day off: 24/7, 365, your signage is working to market your brand.